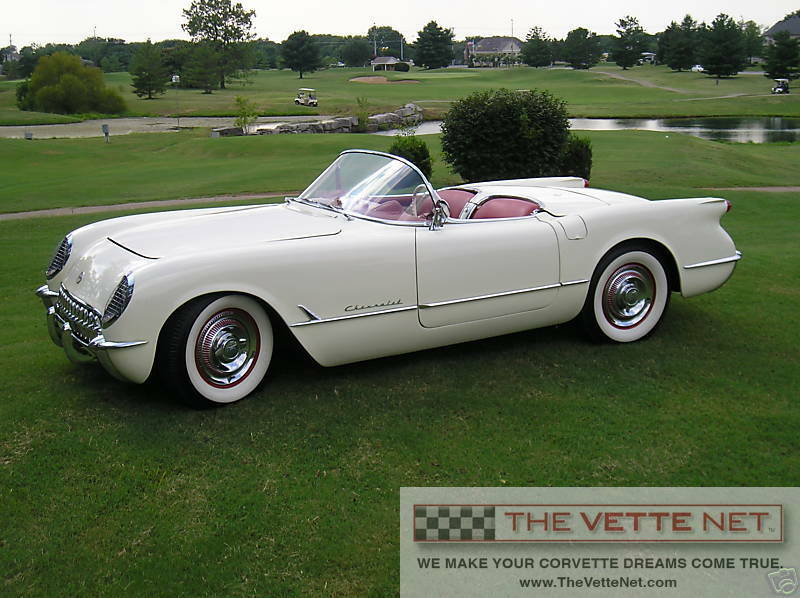 THE VETTE NET.com - Nationwide Corvette Brokerage Network and proud Lifetime Business Member of the National Corvette Museum is pleased to offer this very rare 1953 Roadster Convertable Corvette. This car is the real deal and is a "survivor" not an overdone restoration. Car is the 254th Corvette ever produced & one of only a handful in the world in this condition. Car was handmade in Flint, Mich. on November 25th, 1953. Bloomington Silver certified (94%) as well as receiving the National Corvette Homecoming Sapphire Award in 2007. This car has been in private collections for many years with good documentation. Car was on display at the National Corvette Museum for 2008 as featured in the "Worlds Only "3's" Display". Car has been in several national publications since early 80"s,( documented) most recently, 2007 Chevrolets "An American Revolution/CMA Awards 2007 Calendar, Nov/Dec. 2008 American Sports Car magazine and featured in the Jan./Feb. 2009 edition of the American Sports Car. All matching numbers with the exception of the block (1954). 53 block is included with car. Numbers matching head and engine components. After market hard top is included with car. Car has exceptional chrome & interior, detailed engine compartment, original side curtains with correct date plexiglass, correct trunk mat # 4636966, correct jack #SJ4653 and jack bar, correct carb. tags #2066SA, 3 Carter one barrel. All instrumentation, speedometer, tach, radio, speakers, clock, windshield & washers & cigarette lighter in working order with correct parts.. Car has never been wrecked or sanded. Paint thought to be original as is mileage. Frame is solid & in great condition. Car will be a great addition to a museum or private collection. Great Investment. Inspection prior to date of sale may be scheduled by appointment. Car is 100% as described and is fully operational and driveable. This Corvette can be delivered anywhere in the country and all over world at reasonable cost. For details about this classic Corvette and others, please call toll free at 888-958-3883 (888-95VETTE) or email Joe@TheVetteNet.com. More information and photos are available. In business since 1998, THE VETTE NET (on the Net at www.TheVetteNet.com) has established itself as the premier source for buying and selling Corvettes with thousands of enthusiasts assisted nationwide and worldwide. We are fellow Corvette Club members. We drive Vettes. We live the lifestyle, and enjoy the hobby. Our motto is "Under Commit and Over Deliver" and we guarantee a pleasant and straightforward experience.